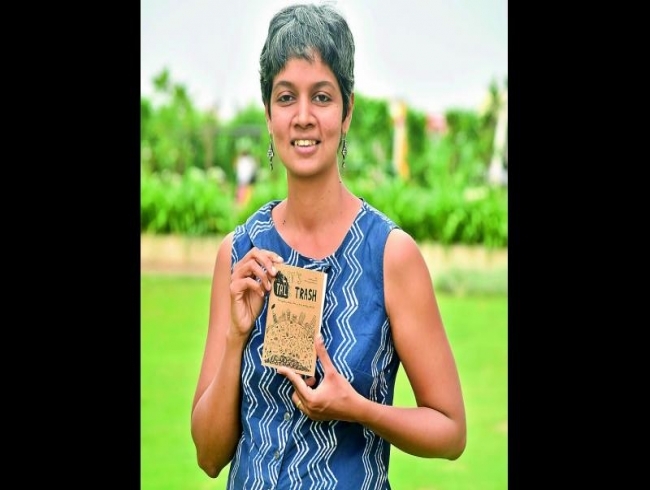 Shubhashree had come across a blog by a US-based environmental activist, Lauren Singer, who was living a zero-waste lifestyle; she could fit in waste generated by her in five years in a small jar. “It blew my mind. We throw so much trash every day; zero waste lifestyle is something to aspire towards. When I read about her it got me thinking that their lifestyle was not too different than how our parents and grandparents used to live. At some point I wanted to do a series of illustrations around it,” explains the Hyderabad-based freelance illustrator. Some of the illustrations from the handbook. Subhashree now plans to get the book translated in various languages to make it more accessible. Apart from reaching out to school, she has also reached out to people in her apartment to do community composting. Avoid bottled water; carry a reusable steel bottle. Refuse plastic bags. Keep sturdy cloth bags handy and use them till they wear out. Use a bamboo toothbrush instead of a plastic one. Use menstrual cups or bio-degradable napkins or reusable cloth napkins instead of sanitary napkin. Use a refillable fountain pen instead of plastic pen. Use steel cans to store wheat, pulses, rice etc. at home.